UPDATE THREE: Fortnite update 7.40 is still on schedule to land at around 9am, GMT, later today on all platforms, and Epic Games just announced more changes being made to the game. The development team has announced that they are upgrading the Fortnite stats tracker system currently in use, which will mainly affect players on Switch and Mobile. These new changes are listed below and will be part of the official patch notes shared during server downtime, scheduled for 9am in the UK. The ability to track all of your play in one place and view it across all platforms.All of your previously earned stats will be added in and displayed in-game.There may be a few minor edge cases where a small amount of data could be missing.All LTM stats are combined and tracked in a singular tab. This means that any previous LTM stats you’ve earned will be moved out of the Solo/Duo/Squad tab and into the LTM tab.The exception to this would be Large Team Mode LTMs. We don’t track stats in those game modes. UPDATE TWO: Epic Games has now confirmed their schedule for Fortnite Update 7.40, including when scheduled maintenance will be performed. As expected, Servers will need to be taking offline on all platforms for the new patch. Patch Notes will be shared straight after scheduled maintenance begins, with Epic Games revealing: "Love is in the air and the v7.40 update is on the horizon. Downtime begins February 13 at 4 AM ET (0900 UTC)." Fans should be ready for server disruption from 8:30 am onwards in the UK. UPDATE ONE: It has now been confirmed that Fortnite update 7.40 will be released tomorrow, February 13. Epic Games PR Nick Chester confirmed the news on Twitter, revealing that the delay would be taken place. "I can now confirm it’s coming Wednesday!" he posted online. It's still unclear what time the new Fortnite update will be released. ORIGINAL: Fans are waiting to find out the Fortnite update time for patch 7.40. So far nothing has been confirmed when it comes to a schedule for its release, which is a bit unusual. Epic Games usually provide an answer on when servers will be going down and if server maintenance is taking place. However, no such message has been posted by Epic Games on any of its social media feeds. If Fortnite update 7.40 does arrive today, you can probably expect some kind of server downtime. 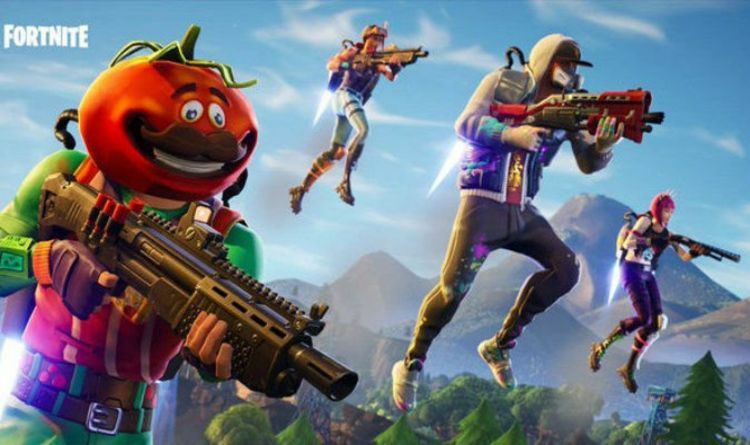 While content updates don’t usually require scheduled maintenance, Epic Games are making significant changes today. These are listed in the early patch notes which were shared this week, without any mention of a downtime schedule. Planes will no longer be able to smash through structures.Zipline interact prompt added, and using a Zipline will grant fall damage immunity.Hand Cannon structure damage reduced from 150 to 100.Turbo Build delay decreased from 0.15s to 0.05s.Rocket Launcher reload time increased from 2.52s to 3.24s.Added the ability to crouch while in Edit Mode.Stay tuned for the full patch notes when the update releases. A new in-game news post also confirmed that the next patch would introduce a brand new Infantry Rifle. The new weapon is said to have a classic design, but with a new combat style. There's also rumours of the Driftboard making an appearance, although this would likely have appeared on the in-game news screen. Epic Games has also announced that the Cupid Crossbow is being released from the vaults and will be available for a limited amount of time. When it comes to the timing of the new Fortnite update, Epic Games has yet to say. As mentioned above, it’s expected to land later today and would probably be timed for late morning in the UK. There is a chance that because Epic Games has yet to share their schedule, the new update will not appear until later this week. Some kind of news is expected from Epic Games on the subject today. The dev team has already provided a rundown of events kicking off this week as part of the new update. One of the biggest will be the new overtime challenges that will be going live following the patch. “Starting with the v7.40 release, all players will have access to new, additional Overtime Challenges,” a post from Epic Games confirms. “Complete these Challenges by the end of the Season to unlock 5 new rewards including the Valentine Wrap and Vines Contrail. This will be followed by other celebrations, including a Double XP weekend before the end of Season 7. “We’re celebrating the brilliance of our community creators with a rotating set of featured islands, appearing in Fortnite Creative... Every. Single. Day. Another big event will be the release of the new Fortnite Prisoner skin, which has slowly been evolving since its release. Stage 4 is expected to be unlocked for fans later this week, with Thursday, February 14 expected to be the final date.